It’s no secret that the real estate industry as a whole has, historically, had a hard time adapting to new technologies. With many agents with varying backgrounds, working for a wide range of agencies, it’s little wonder that new technology is slow to catch on. From small changes like new listing technology and syndicatiosn to utilizing cutting edge software to streamline operations, bringing technology to the real estate sector can be a challenge. Technology, however, has the future to permanently shape the face of the real estate industry—and many real estate professionals are realizing exactly how beneficial it can be. Technology in the real estate sector is relatively young. This new factor, coupled with the need for change in order to introduce technology into a real estate agent’s daily business operations, explains part of the reason why technology throughout the industry has remained at status quo. Change is hard, especially in bigger organizations where everyone has to come on board in order to successfully implement new technologies. 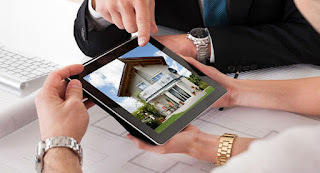 The reward of implementing new technology in real estate, however, is well worth all the difficulty that goes along with it. As a reward for taking the time and accepting the startup expense associated with advances in technology, both management and lower-level employees will be able to enjoy more productive schedules, increased sales, and less time spent dealing with common tasks. For example, the recent StreetEasy saga—which ended with many big companies choosing to pull their listings from StreetEasy—could have been circumvented had REBNY stepped in as an innovator with an effective solution to fill the void. Technology gives everyone the opportunity to become an expert and do due diligence in a way that, in the past, simply wasn’t available for small to medium sized investors. Increased availability of data, speed, and efficiency all make it easier to close a deal and ensure that every person involved in it was able to make the most out of the transaction. When you look at technology from a different perspective, you’ll able to see how it can drive efficiency and transparency, ultimately making people more money as a result. This leads to big opportunities in the real estate sector. Technology is already having a massive impact in this area, helping real estate professionals that embrace it become more powerful, more insightful, and more valuable. This will grow tenfold as technology becomes more efficient and evolves.